Beer in Iceland is expensive, it’s no secret. Expect to pay upwards of $10 USD for a draft pint of craft beer, and 12oz bottles are not any cheaper on average. Iceland is expensive to drink, but relatively cheap otherwise for the winter traveler, so make a point to try as many different Icelandic beers as possible while in country. The industry is young but thriving, partly because of tourism. Hlemmur Square is a hotel and hostel located on the eastern side of downtown Reykjavík, adjacent to the Hlemmur bus station and the Iceland Phallological Museum, which I recommend you do not miss while in town. Yes there are two bottle of Rogue Voodoo Doughnut beer in the above picture. There are a lot of expensive imported US craft beers in Iceland bars. I recommend not wasting your money and drinking only Icelandic beer while in country. Essentially a gourmet hamburger restaurant with a lengthy beer selection. A number of Gaedingur and Borg beers to go with the highly-recommended full-flavored free-range Icelandic beef. I’ve written before about my love for laundromat bars. 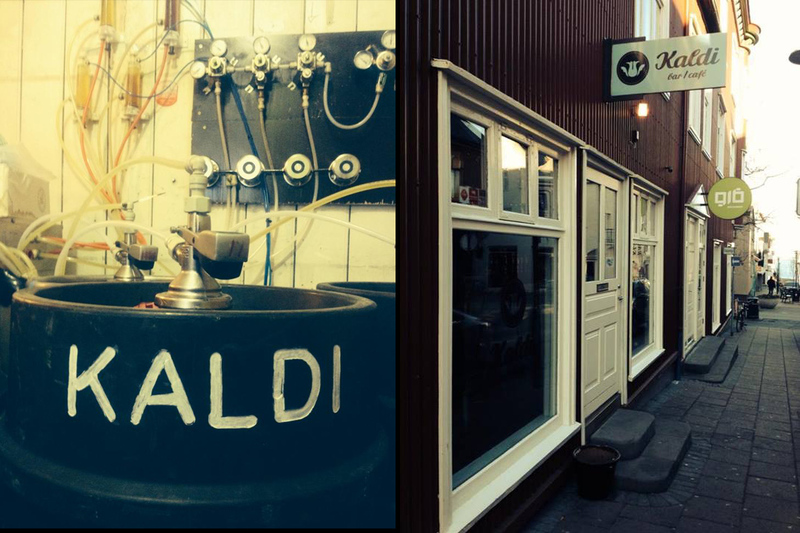 The Laundromat Cafe Reykjavík is a sister establishment to the swank bar of the same name that sits atop my best beer places for Oslo. Expect a similar look and feel here in Iceland, where you can multitask more of your life in one setting. Read, socialize, eat, drink coffee or work, all while washing your underwear in this child-friendly and forward-thinking Scandinavian rendition of a cafe. For the beer traveler there are four draft lines and upwards of a dozen Icelandic craft beers available in bottle. 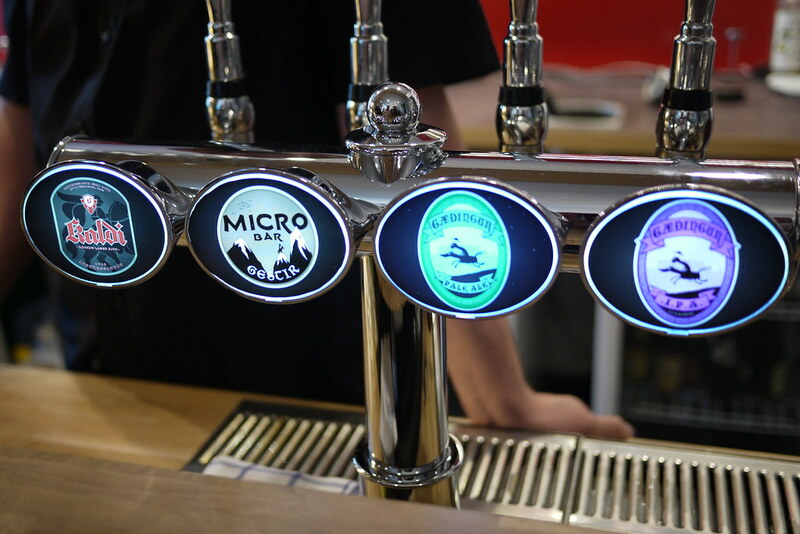 One of the more popular late night spots in central Reykjavík also serves a good dozen different craft beers, including the Borg Robust Porter and Einstok line. Expect drunk oldsters and out of town parties in the wee hours of the night. An output for Bruggsmidjan Kaldi offers a number of beers from this Czech-inspired brewery housed some 400 km north across the island.